Posted on Mon March 9, 2015. The attraction of Stellenbosch is the sum of its parts; the peaceful mountains that allow you to feel utterly relaxed, the cheerful local community who are always ready to show you around and, of course, the charm of the streets, markets and wine estates which you can explore with ease. A wonderful stay is often remembered by taking a piece of the place with you. We picked some proudly Stellenbosch products for you to enjoy when you get home. Stellenbosch has no shortage of talent when it comes to crafted items you will love in your home or to bring back as gifts for loved ones. Head to any one of the markets found dotted around the town to peruse the local wares from jewellery to artisan foods to décor. You can also amble around the streets and browse the speciality stores. Oom Samie se Winkel is a Stellenbosch institution where you can enter a world of collectibles, confectionery from yesteryear and antiques specific to the history of the town. For more modern items supplied by local artisans and crafters, The Birdcage stocks ceramics, books and homeware. In addition to their shop, they have a bakery where you can enjoy cakes, pastries and biscuits that resemble works of art. The milk tart is like nothing you have ever seen or tasted before while you can leave happily with an original ceramic work by Liesel Trautman. Chaloner is focussed on olive-based food products that have grown in popularity over the years thanks to its almost addictive deliciousness. 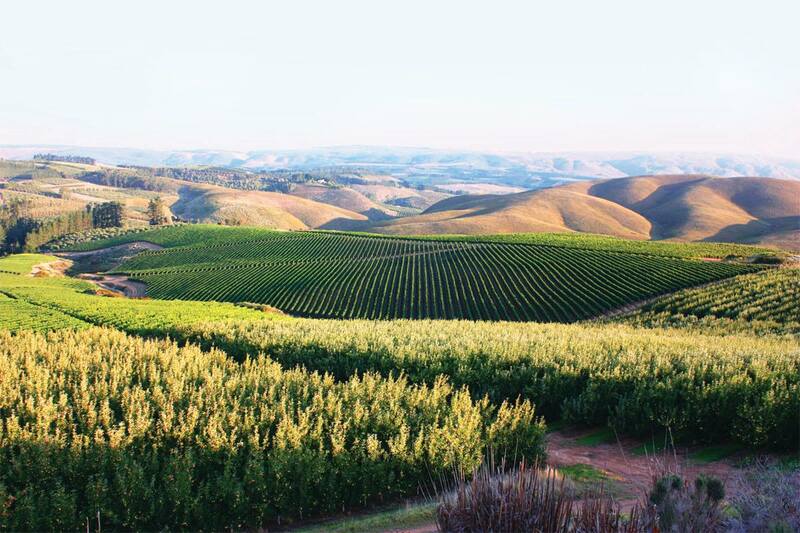 The farm is found just outside Stellenbosch where the Chaloner family grow olives and fruit orchards, all organically fertilised and harvested. Along with goodies like tapenade, preserves and olives, you can also find marmalade, chutney and syrups. You can find Chaloner in popular supermarkets in Stellenbosch. The Stellenbosch region boasts the largest wine community in the county with 250 members, giving you the opportunity to visit a few new farms every time you come to stay with us. Its excellence in wine tourism has most recently been awarded the Best Promotional Body prize at the Wine Tourism Awards 2015, organised by the Drinks International magazine. Stellenbosch wine estates pride themselves on their high quality wines and most offer just as impressive food items, curios and art amid drastic landscapes of vineyards, mountains and fynbos. A bonus is that the wines can be bought at cost price when you visit the estate where you can explore the world of viticulture. There are so many amazing wines to choose from, it was nigh impossible to make a selection, so we chose two that are enjoyed by most. For accommodation at either our self-catering apartments or main guesthouse, please visit the accommodation page. If you love us, Like us on Facebook. Find out more about the Stellies markets here.